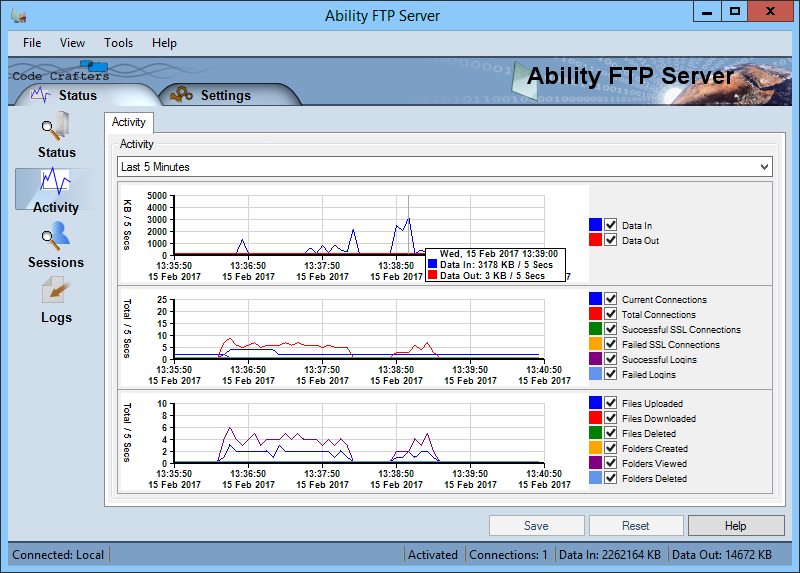 Ability FTP Server incorporates many advanced features, all of which are accessible through an easy to use interface. This flexible FTP server is designed to suit almost any setup and usually only takes a couple of minutes to configure. Offering power control over all accounts, the software also comes with advanced monitoring facilities to enable you to view and study all activity. The server also includes a Remote Admin facility which allows total control of the server from any location. Other features include 256-bit SSL encryption, anti-hammering and much more.